It is indeed a goodmorning! Sunny, pleasantly warm temperature and a moderate cool breeze are the main features of the weather today. Although the breeze has calmed down slightly, you can still seek cover at the hospitable southern beaches. Vlychada: Forgot your swimsuit? 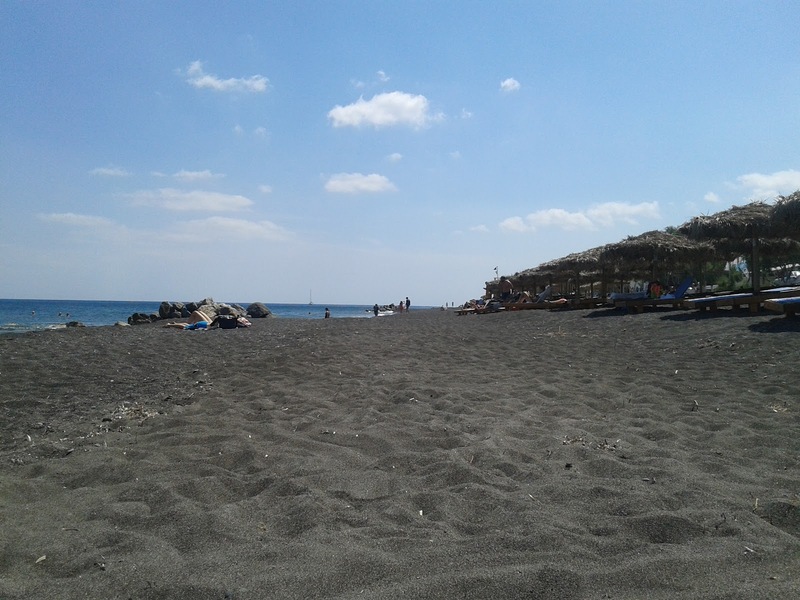 No problem, just pass the sunbeds and umbrellas and walk to the quieter part of the beach. 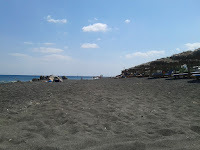 Perissa: The famous black beach offers all the amenities even for the most demanding! If you're looking for a little adventure, on the way to Faros turn left on the dirt roads to Kambia and Mesa Pigadia.